Only people in Bangalore or Karnataka might understand the emotions attached to this bowl of field beans. 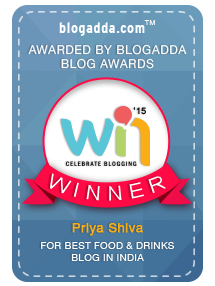 I tasted different things made with avarekalu like dosa, saaru and even enjoyed some holige. The festival is on till 14th January and you can surely enjoy some good food at reasonable price. 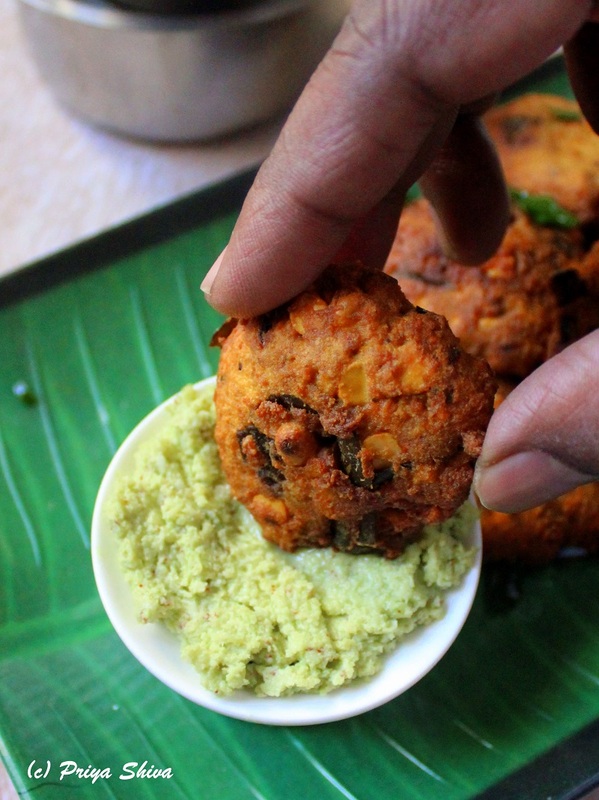 Don’t forget to buy fresh Avarekalu from the farmers selling it there 🙂 … I came home and was thinking of what to make with these beans and finally decided to try out some masala vada for snacking around evening time. Avarekalu masala vada turned out to be delicious, crispy and perfect match with a hot cup of filter coffee and chutney. They are easy to make and I’m sure your family will love it too! So, do try these Avarekalu masala vada and share your feedback with me.. 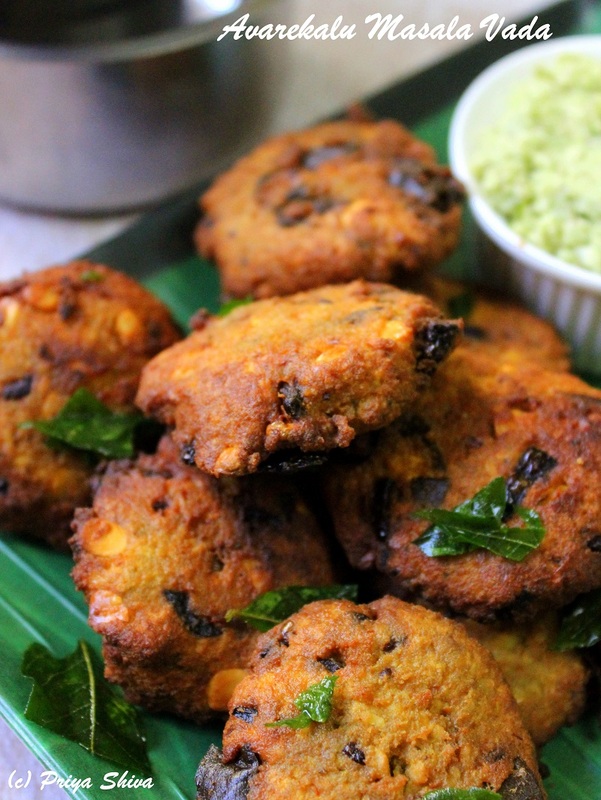 Enjoy crispy vadas made with a twist of field beans! Soak split chickpeas for 30-45 minutes. Drain the water completely and keep 2 tbsp separately. Add the remaining portion in your grinder along with avarekalu, red chilies, salt to taste, asafoetida, grated ginger, curry leaves and coarsely grind it. Transfer the content in a bowl along with the other portion of lentil (2 tbsp), chopped onions and mix well. Heat oil in frying pan. Make sure to check if oil is ready. 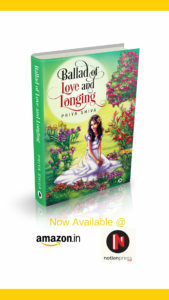 You can check by dropping a small ball of the dough in the hot oil and if it immediately comes on top, oil is ready. Make small balls of the lentil batter and and flatten the ball with your hands and drop it in oil carefully and fry it on low flame for few minutes. When it turns golden brown on both sides, remove from the pan and serve it hot with some coconut chutney. Drain the water completely before grinding it. Do not fry the discs on high flame or it will stay uncooked from inside. Those look good! 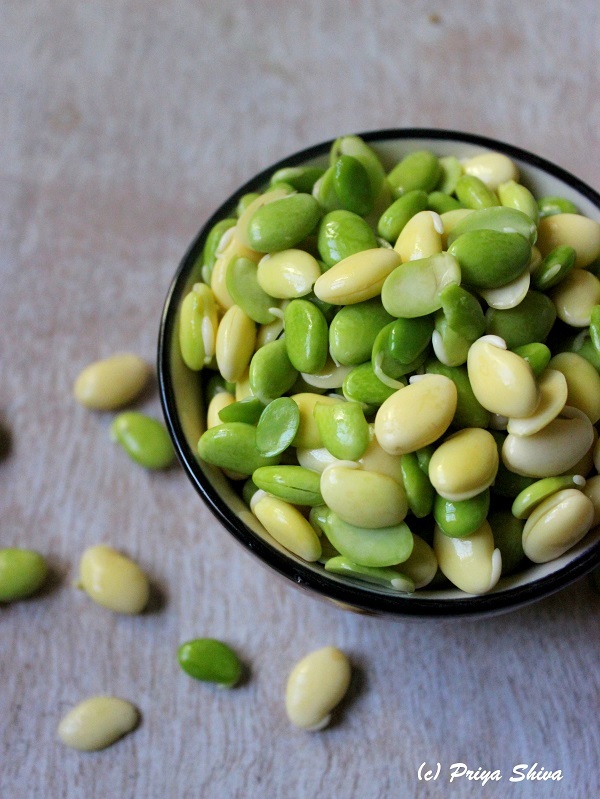 The been looks similar to edamame. Indian is my absolute favorite cuisine, but I’ve not seen anything like this recipe. It looks fantastic! 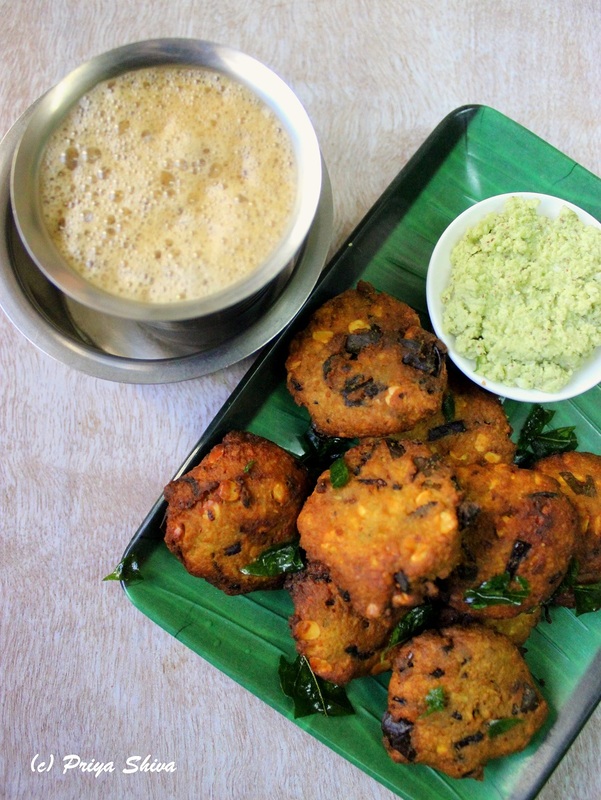 I am seeing these beans for the first time, looks really interesting… and vadas are something I just can’t say no to, and with filter coffee, then it is a double yes!!! !